Campus police used surveillance video to identify the driver involved in a car wreck on campus Jan. 20. On Jan. 21, a car wreck was reported to the campus police department. Ruby Munoz Pizarro, 32, said her vehicle, had been hit in Parking Lot A the day before, according to the report. A suspect, whose name was redacted from the report, was identified in surveillance footage by police. In his report, campus police officer David Madden noted the surveillance footage revealed that at around 9:15 a.m., on Jan. 20, a red car could be seen striking the victim’s vehicle on the passenger side. After the accident, the red car was driven to Parking Lot A South. In another video, the suspect was then observed entering room 3K3 of the Main Building. Madden reported he tracked the time and class number on that day to find the suspect’s information and contact number. After being contacted by police, the suspect admitted hitting the car, and told police she would bring her insurance with a valid driver license to the police office. In a report from Jan. 23, officers noticed a man, Cory Preston Spurgeon, age 25, sitting in his vehicle in Parking Lot C.
Officer Zachary Andrews reported Spurgeon had no valid drivers license. He told police he was on a trip from Arkansas to Arizona with a friend who had left him and the car and walked off. Andrews reported the man had slurred speech but did not have a strong odor of alcohol on his breath and clothes. Spurgeon told police he’d taken Adderall and Clonazepam. Campus police officers also found beer cans in the vehicle. Andrews said the man was unable to maintain his balance and could not pass the Field Sobriety Tests. Spurgeon was transported to the Public Inebriate Alternative center after campus police officers determined that he was clear of warrants. 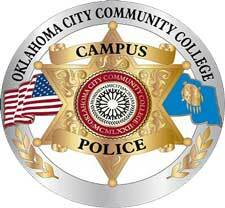 To contact campus police, call 405- 682-1611, ext. 7747.